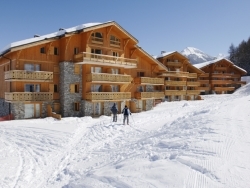 La Plagne has 225km of marked runs of its own, including plenty of wide and gentle slopes. The whole Paradiski area is equally intermediate friendly, but while extensive it lacks the linked cohesion of big name, big area rivals the Trois Vallées and Val d'Isère/Tignes. While it's not ideal for experts here, there are still plenty of black and red runs, sufficient off piste, steep couloirs and 1,000m-plus descents to lure daredevils. La Plagne also has Europe’s longest boardercross – the Funslope, with jumps, steep curves and bank waves.With its 11 spread-out villages, La Plagne lacks a single identity and character. 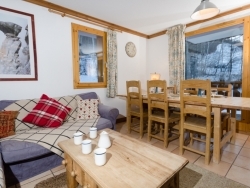 Three of the options to stay in are traditional farming villages – rustic Champagny en Vanoise to the south of La Plagne, Plagne Montalbert on the western edge of the ski area and Montchavin La Plagne at the northern edge of the area. Chambéry Airport - 90 minutes Apprx. Lyon Saint Exupery Airport - 2hours 30 minutes Apprx. Geneva Airport - 2hours 30 minutes Apprx. 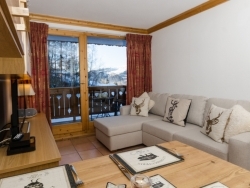 We've partnered with Ongosa, who recommend and book the best snowsports instructors and guides in La Plagne for you. There are two main types of 'La Plagne Ski Area' passes the Paradiski Unlimited Pass (full area) and the La Plagne Pass (local area). The Paradiski Unlimited Pass links to neighbouring Les Arcs, hugely increasing the amount of ski area available. The La Plagne Pass connects the villages and pistes of the La Plagne ski area only and is generally sufficient for beginner skiers. Most skiers buy the six day Paradiski pass, as this allows you to explore many more pistes, mountain restaurants & bars and the neighbouring resorts without having to worry if you've 'crossed a border'! Grizzli - The stars of the Grizzli are of course the Savoyard specialties! We have gathered a range of our region: raclette raw milk served in half grind on the traditional device, the Savoyard fondue with Beaufort de Savoie grated on the spot, the authentic Savoyard tartiflette and many others to discover or rediscover. 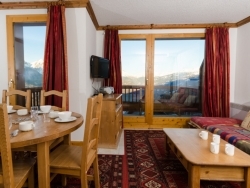 Le Matafan - In the charming village of Belle Plagne , the Restaurant Le Matafan welcomes you in a warm and rustic setting , where you can enjoy traditional Savoyard cuisine in the heart of La Plagne resort. Whatever you choose to do on your summer holiday you are sure to find a huge range of activities across the La Plagne & Paradiski area. From relaxing to full on adrenaline there is something for everyone, every ability and every age in La Plagne. Check out the selection of things to do below for some holiday inspiration! Archery is one of those sports that people all ages love to try. There are a number of places near La Plagne to practice archery and become the Robin Hood of the Alps. They will all provide you with bow and arrows and you can also take lessons. The sports centre in La Plagne has a multisports court where you can play badminton. Bowling is a good thing to do if the weather turns bad or if you've got a larger group to entertain. Canoe rafts are an unsinkable, stable type of inflatable canoe that allow you, without too much technique to profit fully from the joys and fun of white water river descent. The descents are taken on by groups of 4 to 5 boats, accompanied by a fully qualified guide. You are equipped with neoprene suits and shoes, a safety jacket and a helmet. The course which you take is chosen according to the water levels and experience of the participants. A not-so-gentle but extremely refreshing summer activity is one way to describe canyoning! Plunge yourself into the mountain streams via a series of abseil descents, jumps and natural water slides – just make sure you choose a warm day! You will make your way along rivers and rapids, using the river bed as a natural obstacle course. Not suitable for very young children, but anyone over the age of about 8 can take the (very cold) plunge and try canyoning. With the safety of a guide everyone can abseil down cascades, splash into pools and ride the river rapids. You can choose from short beginners’ routes or longer ones for the more adventurous. Different companies will have their own policies on age limits but usually, unless they are booked onto a children's activity course, anyone under the age of about 14 years old will have to be accompanied by an adult. A basic level of swimming ability is required for safety reasons. There are a number of adventure companies that offer guided descents down the local waterways.